Missed the Network Commons on October 5th? Watch the video to hear more about the work of First Choice Community Healthcare and two other Joining Forces Grantees who are partnering with CDFIs! The BUILD Health Challenge initiative stands apart from typical health grants for many reasons. It focuses on the non-medical factors that influence health . It puts community organizations in the driver’s seat of complex partnerships. But most of all, it recognizes that creating healthy communities often requires hard capital, not just program support. As a non-profit health care system with a vision for building a $22 million “wellness ecosystem,” we need the capital. The BUILD Health Challenge introduced us to the world of Community Development Financial Institutions and New Market Tax Credits. 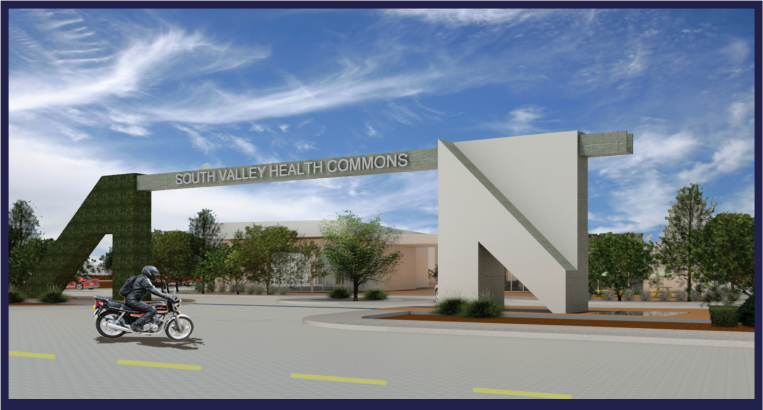 Our BUILD project, Addressing Healthcare’s Blindside in Albuquerque’s Southside, has always been about equipping healthcare providers and patients with tools to support health. This includes a referral and tracking system to connect patients to existing chronic disease self-management resources, such as healthy food and walking trails. But the existing resources are not enough. Our communities are food deserts and lack facilities and infrastructure. We need community development . 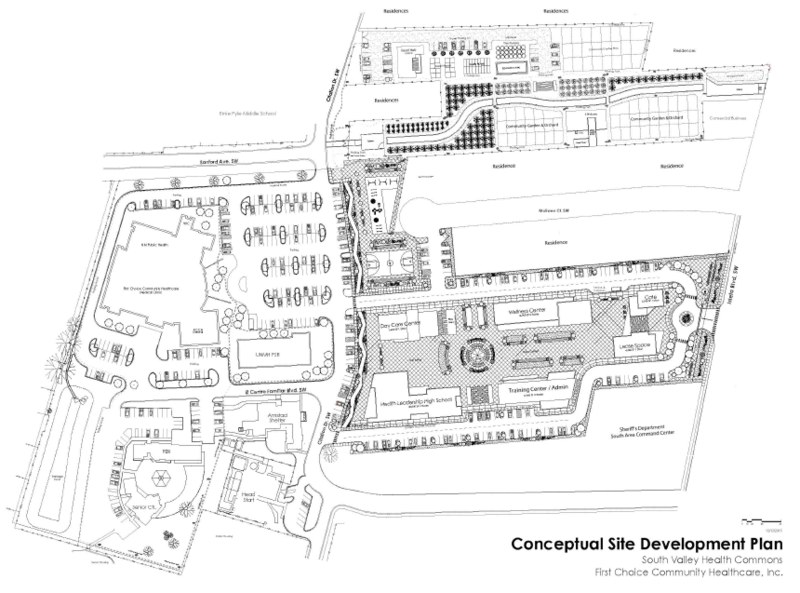 First Choice is planning a 10-acre platform from which to launch health promoting enterprises including a food hub, farm-to-table-style restaurant, early childhood development center, health professions charter school and “aging well” wellness center. These projects were selected with the goal of investing in those enterprises that have the best hope of mitigating socio-economic indicators as well as to be financially sustainable through co-location and inter-dependence, thereby generating a wellness ecosystem. As an FQHC with a consumer-led board of directors, First Choice has always known that health is about more than the medical visit. Our board of directors is comprised of patients and community leaders with expertise in healthcare, behavioral health, child development, education, finance, and legal matters. There is widespread agreement that we must act on the social drivers of poor health in order to achieve our mission of improving the health, life skills and wellness of the people in the communities we serve. There is also recognition that health systems need to diversify their revenue streams given the changes in the way healthcare services are financed. Instead of paying for volume of visits, the sector is moving toward paying for outcomes – and for good outcomes you need healthy communities. At the 2015 Opportunity Finance Network conference in Detroit, we learned that CDFIs are also mission-driven to invest in healthy community development. We met investors and CDFIs who told us that our project was a good fit with their financing priorities. We have deep reach into the areas of high poverty and unemployment. We have strengths in the number and type of partners and access to public and grant sources of capital that most commercial developments do not have. As one of two healthcare provider system partners in the BUILD Health Challenge, First Choice Community Healthcare was invited to apply for the Joining Forces Lab Planning Grant. This grant is intended to allow folks working in the healthcare, public health, and community development sectors, with projects like ours to explore financing opportunities with CDFIs. The grant is helping First Choice afford the expert consultation it needs to finance our $22 million wellness ecosystem. Our consultant is walking us through the development of a business plan that satisfies a lender’s requirements. Even lenders who appreciate community impact need to know that the numbers work. CDFIs offer below market loan rates, favorable terms, and higher debt to value ratios than conventional lenders. As important to us is the approach they take as partner, putting us through a rigorous pre-underwriting process, helping us see ourselves through a lender’s eyes, and providing access to financing, legal and real estate development experts. For other organizations looking to finance neighborhood revitalization projects, CDFIs are a great resource. Finance is complex, but so is improving community health. Both can be done together! 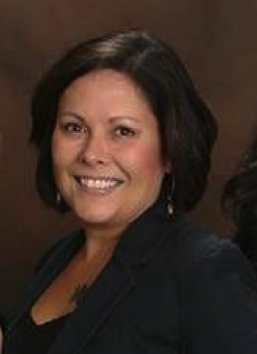 Michelle Melendez, MPA, is Development Director at First Choice Community Healthcare, a Federally-Qualified Health Center system in Central New Mexico. Michelle develops resources for programs and capital projects and develops relationships and strategic partnerships with community leaders, business leaders, governments, local organizations and innovators. Michelle has more than 16 years of community health experience with health systems, non-profits and the NM Public Health Department. Michelle serves on numerous boards, a county health council and various coalitions, as has completed two fellowships with the Robert Wood Johnson Foundation including one sponsored by the BUILD Health Challenge. Her recent work in community development stems from the recognition that the health of people is tied to the health of places where they live, work, learn and play. Her previous career as a journalist lends itself to her current work through storytelling. Check out this video about where she lives, works and plays, and more on Youtube.